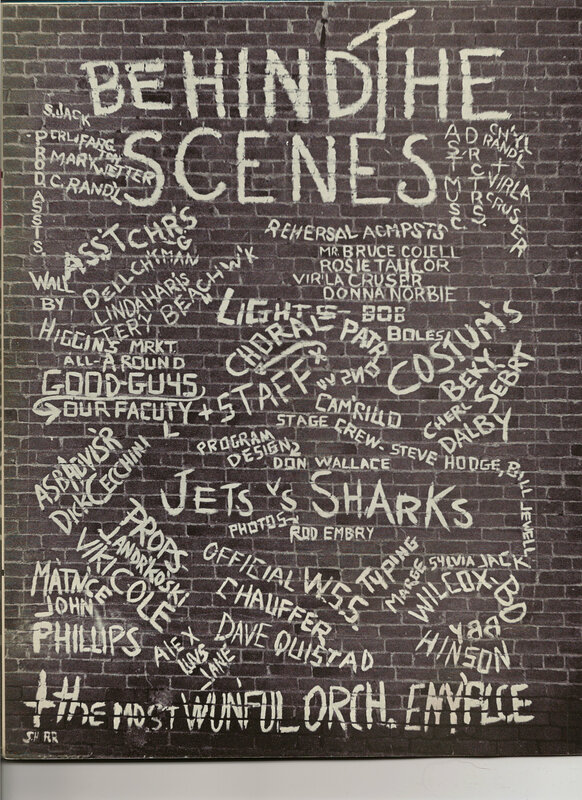 Camarillo High School had the usual high school plays every year, but never in the history of the school had there been a musical production. 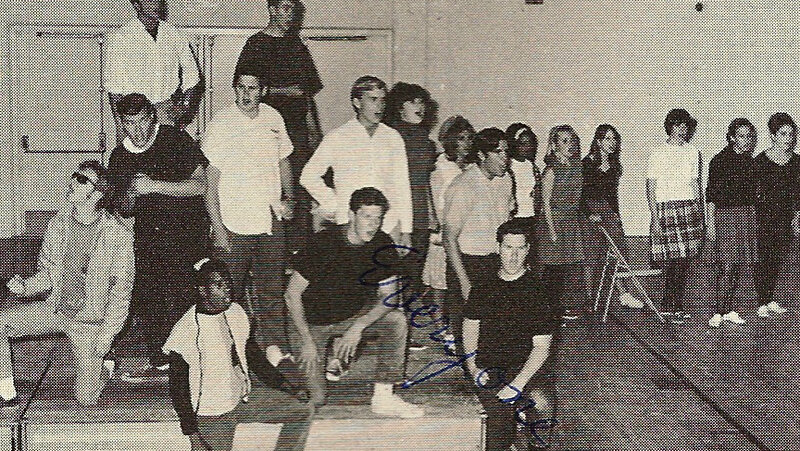 Mr. Henderson’s first year at Camarillo high – his first year of teaching school – he determined that it would be a good idea for us to put on the musical West Side Story. As part of our choir repertoire we were working on a medley of songs from that show and in our naiveté we believed we had half the work involved in such a production done because we already knew the music! Mr. Henderson must have been amused by our innocence. 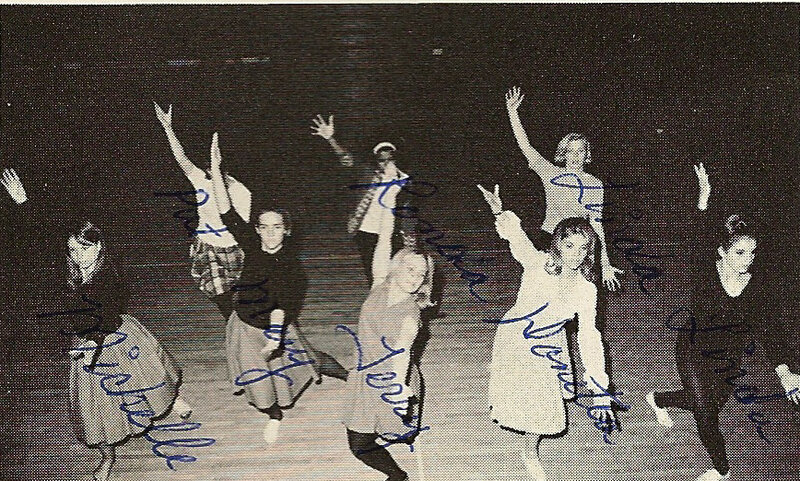 One of Carol’s fond memories of West Side Story is when she got her license and was allowed to take her family car, the corvair, to rehearsal one Saturday. When rehearsal was over for the day she went out to the parking lot, keys in hand. She looked around and her car was gone! The boys had picked it up and carried it behind the snack bar. 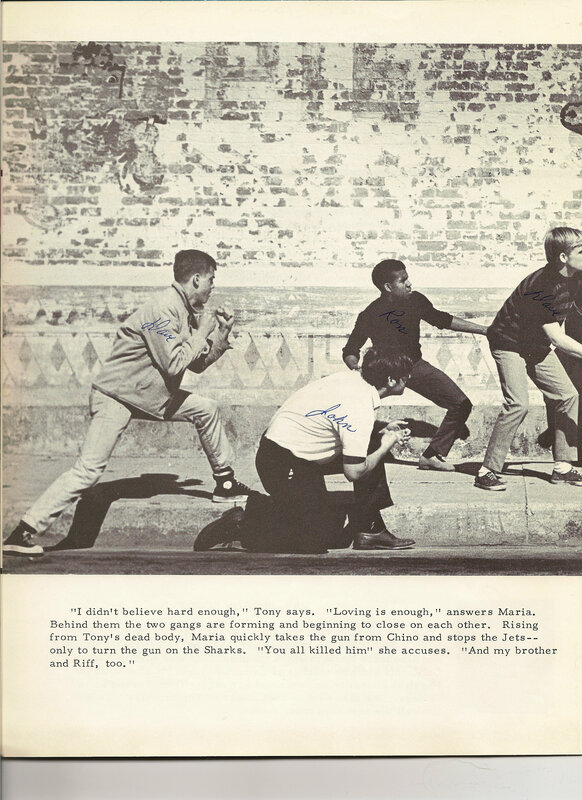 I remember trying out for the part of “Anybodys,” the foul-mouthed tomboy gang-member wannabe. I didn’t get it…I think one of the reasons was because I couldn’t-or wouldn’t-spit. Honey Stephenson, who became a good friend, was great in the part. In one scene of the play the character Anita, played by Rosie Taylor, is surrounded by a group of boys, and screams. During one rehearsal Mr. Henderson was laying across several chairs in the audience, directing the scene. Rob Kohler, who was part of the gang of boys surrounding her, noticed that his shirt and Rosie’s were the same color. The boys played the scene as directed, threateningly surrounding Rosie as she got more and more scared. Rosie screamed a particularly blood-curdling scream, and a shirt, appearing to be Rosie’s, flew into the air. Mr. Henderson’s jaw dropped open, his eyes popped, and he almost fell off the chairs! Gotta love that Kohler humor! Naturally, we had to have fund-raisers. 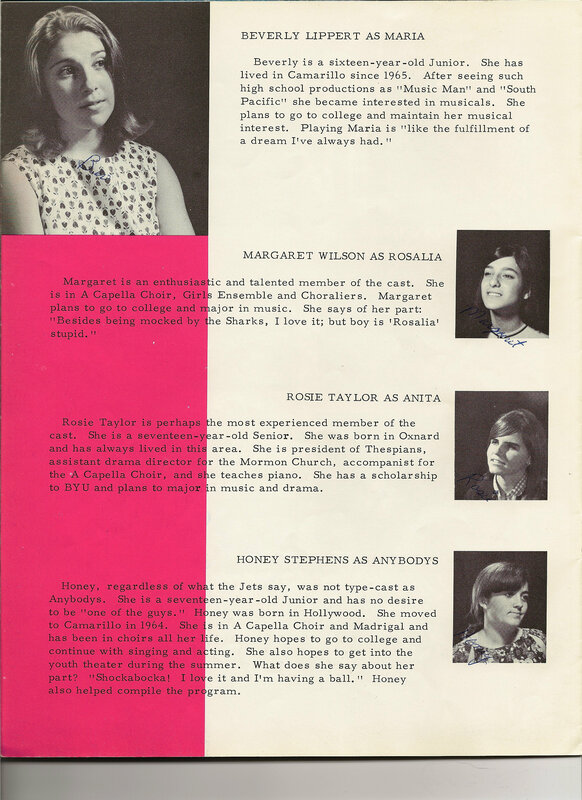 The cost of the professional musicians, and oh-so-many other expenses were in no way covered by the school budget. I seriously doubt we ever came close to paying for the costly production….and the fund raisers were really more like fun-raisers for us. 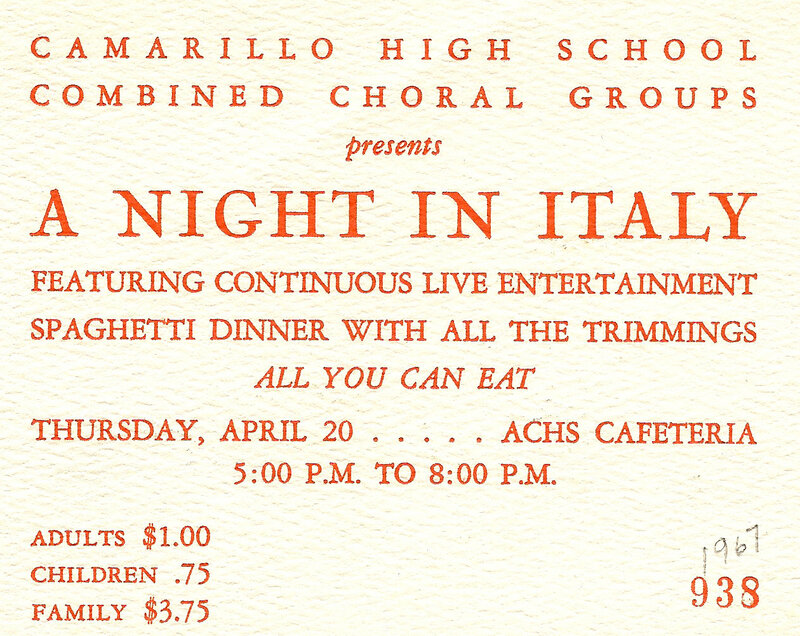 Not only did we rehearse for West Side Story, we had to practice for the spaghetti dinners we put on. 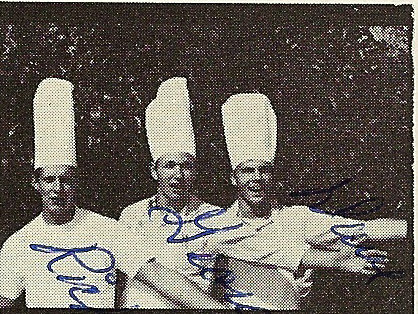 We even had performing chefs! 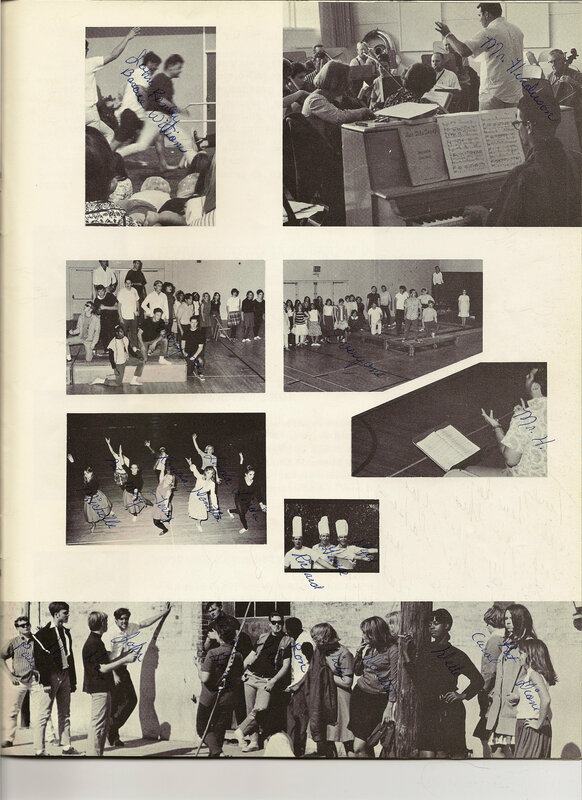 Being part of a musical was a new and exciting experience for all of us who participated. It was well and professionally done and received good reviews in our local paper. It was a blast to be a part of it! 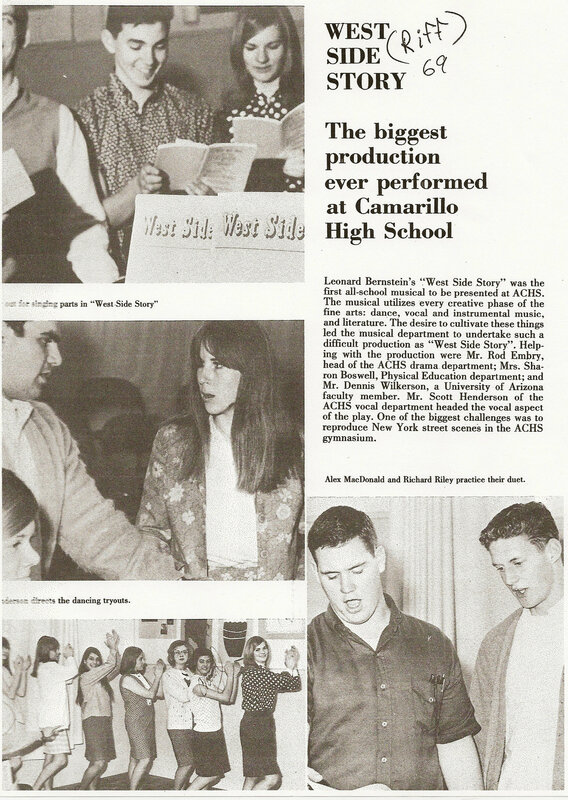 West Side Story was a huge production – the biggest ever at Camarillo High School. 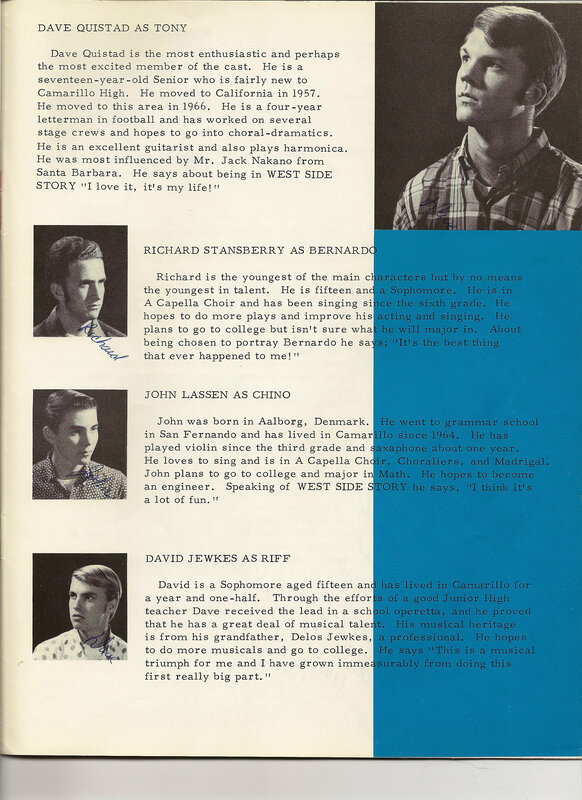 It was also a huge success, the first of many successes for Mr. Henderson, and the beginning of his reputation for quality and excellence in every endeavor. 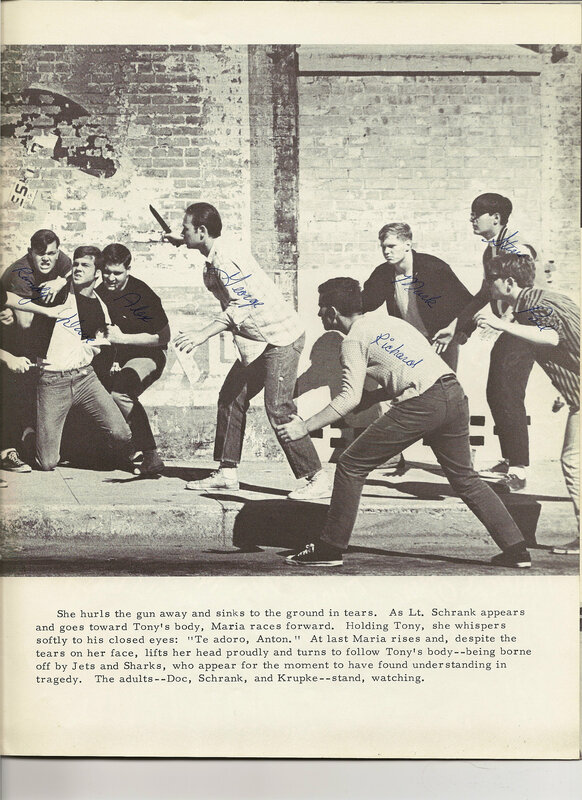 Mr. Henderson said, “WEST SIDE STORY began as a dream. As the new vocal director I wanted to follow up our highly successful Christmas program with something worthwhile. 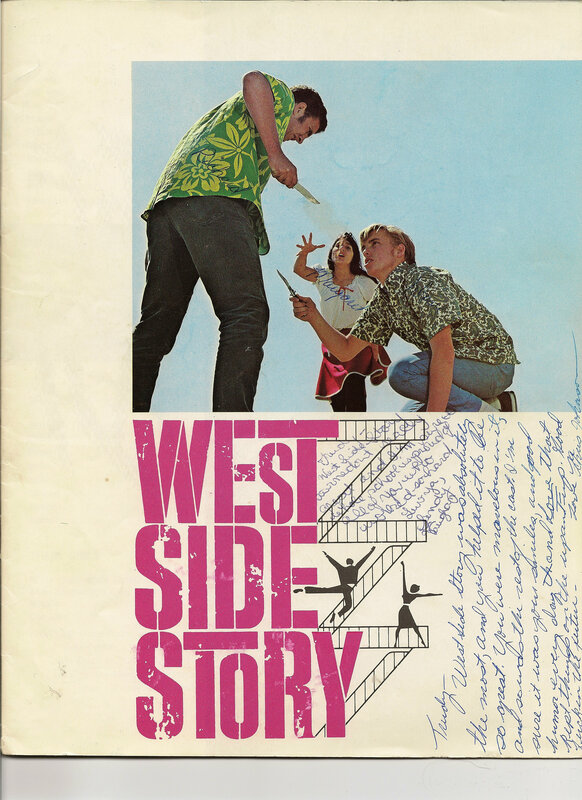 After much thought, conferences with Mr. Jansen, who shared my enthusiasm and others, WEST SIDE STORY won out as the choice over all other possibilities. It began to take shape. Students were enthusiastic. 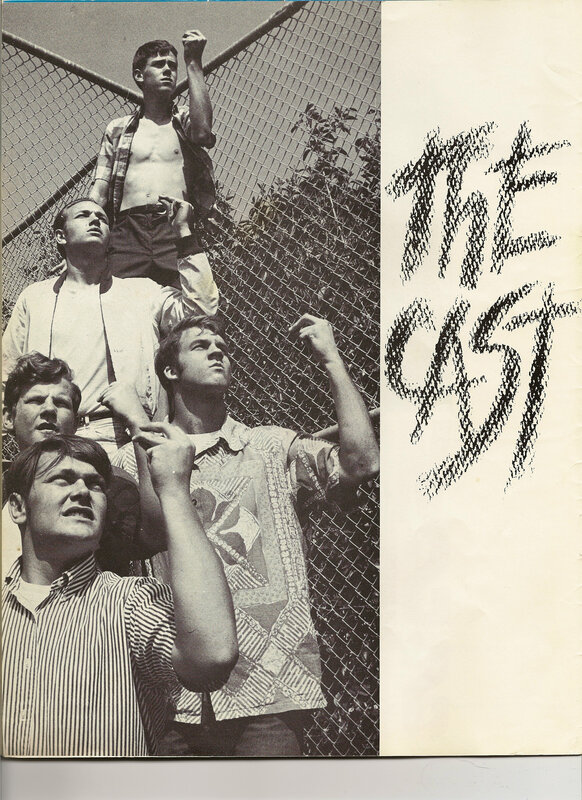 Mr. Dennis Wilkerson, classmate of mine at the University of Arizona, and presently Technical Director of Drama there, has rendered invaluable time and service to this effort. 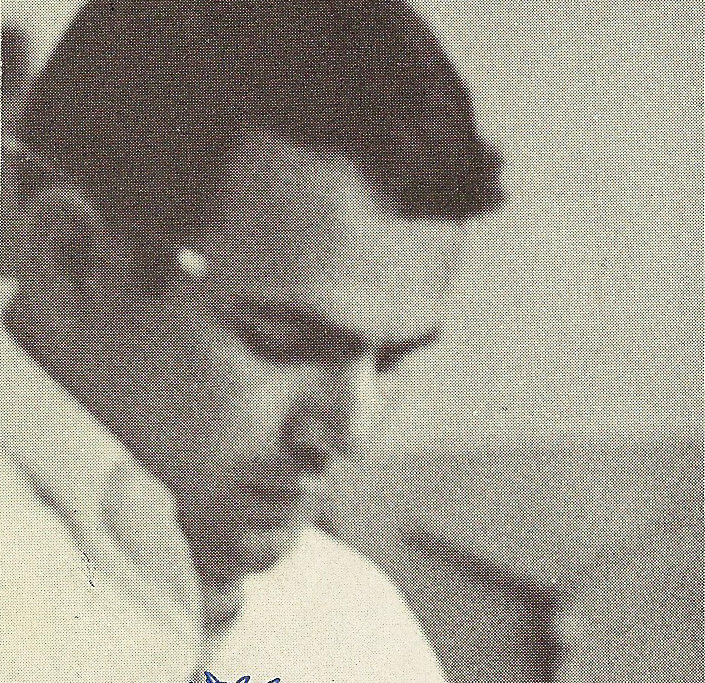 He designed the sets, directed staging, and helped with choreography. This has been our biggest effort yet. It has been most demanding of everyone concerned, including many hard-working parents. However, the reward from such a venture is incalculable, especially to the cast and crew: to those involved. Sure brought back a lot of memeories. I have shared all the pictures with my children and grandkids. They laugh at the stlyes back then. 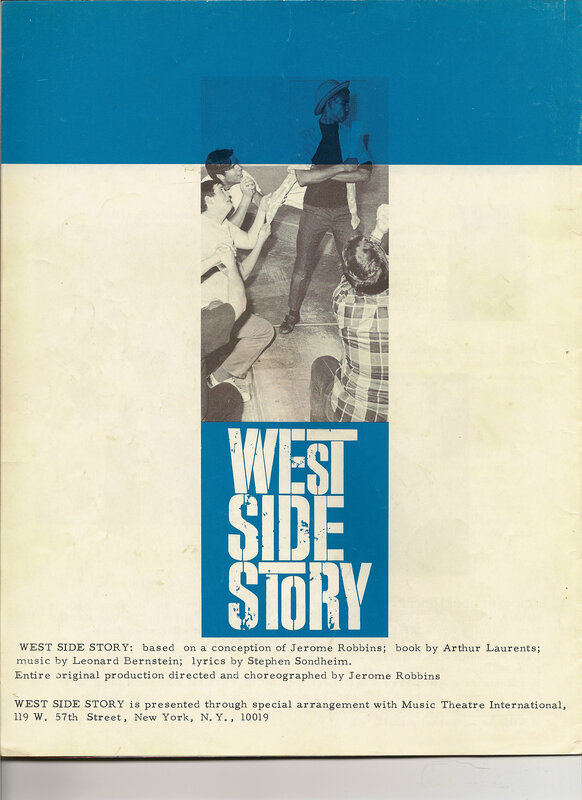 I love to listen to the music from Westside Story.